The Professionals In Residence series is an initiative of the John Jay College Center for Career & Professional Development to provide opportunities for career exploration, networking, and mentorship to students and alumni. Since debuting in 2012, the Center has brought senior industry leaders to John Jay College to offer advice and guidance as students develop the “soft skills” of networking and interviewing and make informed, thoughtful career decisions. Professionals In Residence events are followed by an opportunity for students and professionals to engage in one-on-one mentoring and networking. 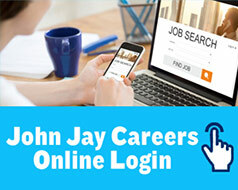 All students and alumni should RSVP on John Jay Careers Online to attend! "A CAREER AS A MENTAL HEALTH COUNSELOR"
Jennifer Varley received her M.A. in Forensic Mental Health Counseling from John Jay College in 2012. She is a licensed Mental Health Counselor (LMHC) and a Credentialed Alcohol and Substance Abuse Counselor (CASAC). She maintains a private practice counseling adults in Astoria (Queens), NY. Jennifer is specialty trained in both Harm Reduction Psychotherapy and attachment focused EMDR (Eye Movement Desensitization and Reprocessing) for processing trauma. Jennifer specializes in the treatment of co-occurring disorders, mood disorders, trauma, anxiety, depression and co-dependency among adults. 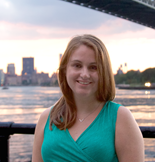 She is an expert contributor to the relationship based website Marriage.com and runs a Meetup group in NYC for Licensed Mental Health professionals that promotes professional development, networking and peer support. Jennifer is a NYC Medical Reserve Corp volunteer and is passionate about addiction treatment, energy based psychology and social justice. 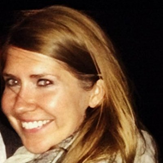 "A CAREER AS A CORPORATE RECRUITER"
Liane Hajduch received her BA in Organizational Students & Communications from the University of Michigan in 2009. She went on to spend 5+ years as a campus recruiter in NYC. She worked at top financial services (RBC Capital Markets, Moelis & Company) and tech (Venmo) companies where she hired, trained, managed and mentored hundreds of interns and new grad hires. She's currently the Head of Human Resources, Recruitment and University Partnerships at WayUp, an NYC-based startup that helps connect students with awesome entry-level jobs and internships. At WayUp, she manages all things people (from hiring and onboarding to training and career development) and partners with career services professionals across the country to help students land meaningful jobs. Alden Foster. Policy Advisor to the Commissioner with the New York City Police Department. "A Career with the NYPD." Brian Cairl. Managing Director and Director of Investigations with K2 Intelligence. "A Career in Security Management." For more information about the Professionals In Residence series, please contact Chantelle Wright, Associate Director at the Center for Career & Professional Development, at (212) 237-8754.